Minneapolis, Minnesota, USA, July 12, 2018 – A major US manufacturer of electronic components has placed an order worth over three million dollars for Despatch PND inert atmosphere ovens. The sale was made by Despatch representative FLW Southeast. The manufacturer, who cannot be disclosed, has experienced explosive growth. 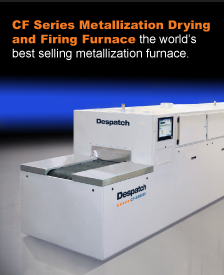 The PND oven is already being used at the company and has been proven effective for critical thermal processing needed to cure electronic components. They had a high level of confidence in the PND’s process repeatability and Despatch’s ability to meet a very aggressive ramp to manufacturing schedule. 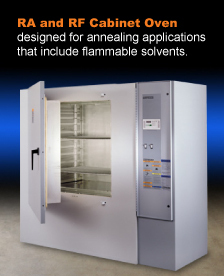 The PND Oven is designed to accommodate a wide variety of processes where an inert atmosphere is required to prevent product oxidation. 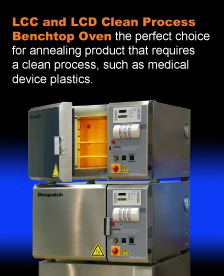 Typical applications include curing, bonding and heat treating. The continuously welded interior is ideal for highly corrosive conditions or where interior cleanliness is critical. It has adjustable recirculating air louvers that allow “fine tuning” to assure uniform airflow, even and consistent product heating even with varying load configurations. It also has a heat exchanger for providing rapid cool-down or the ability to operate at low temperatures within a sealed chamber.